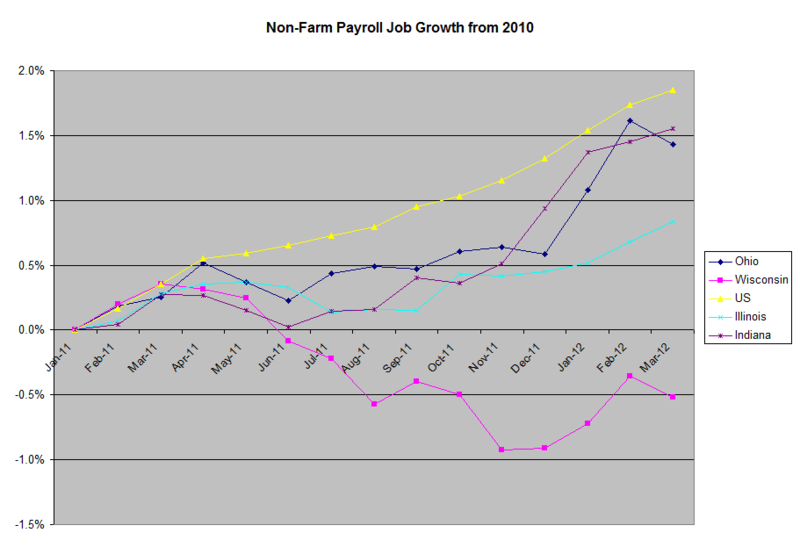 Here is a percentage chart I did of Non-Farm Payroll Job Growth since 2010 using FRED data. This is seasonally adjusted data they get from the BLS. The idea of this chart is to see the job creation performance in Ohio, Wisconsin, Illinois, and Indiana compared to the US. Ohio and Indiana led the pack although all of these states had percentage increases less than the percentage increase for the US.